Kate’s feet wouldn’t move. In the distance she could still hear the sounds of battle. The roar and chatter of gunfire, the squeal and pop of the invaders’ returning volley. In her subconscious Kate knew she had to keep moving, but her feet and her mind were unwilling. Her small group of survivors was moving through a burned-out suburban neighborhood, nowhere near a supermarket, when she spotted the cast-off shopping cart. It had been shoved to the back corner of a paved driveway; three of its wheels just over the edge of the drive, leaving the cart canted at an angle, the right rear wheel hovering inches off the fading black pavement. When Kate saw it sitting there, forlorn and alone, she stopped in her tracks, causing Jim Waltman to bump into her from behind. “Kate, you okay?” He muttered. Jim just grunted and kept going, his eyes furtive as he watched for any sign of the invaders. Kate was unable to pull her gaze away from the cart. Memory had taken over with the force of a powerful magnet, locking her feet and mind into this one unexpected spot, for the time being. Kate saw the faded red plastic of the handle and plastic flap of a seat inside the cart. That was where Tommy would have sat, his fat little fingers gripping the handle as he slobbered and grinned at her. Allie, three years older than her baby brother, would have asked to sit in the basket, giggling as groceries piled up around her. It had been years since Kate had taken her children grocery shopping. It had been years since her children had been alive. They had both died within days of the initial attack. Some had told Kate that she’d been lucky to survive. Kate always told them that lucky would have been to die with her little ones. Several more members of her group passed behind her, though she no longer acknowledged them. They were following Jim and those in front of him. Moving, always moving. A cart could move things. She took a step forward, toward the shopping cart. She could put her pack, all their gear in it, push it along as they moved from hiding place to hiding place. The last member of the group passed her by with a glance. She saw the woman out of the corner of her eye, with her own pack, and the rifle in her hands. Kate knew she should follow, keep going, move. Gunfire in the distance. They were close. She wanted to wheel the cart down the drive, whisper to her babies that everything would be okay, that she would get them to safety, just as soon as they stopped in the dry goods aisle for some dehydrated potatoes. There were leaves on the ground, and the bushes around the cart had lost the last of their green. Fall was in the air. Tears began to trace down her cheeks as she realized she was talking to the ghosts of a memory. Her babies were gone, she knew they were, but she didn’t care. She missed shopping with her littles in tow. She missed shopping. Outside her memory, in the world around her, the real world, gunfire erupted, fresh and close. Kate was jolted from her miserable reverie. She turned toward the sounds and saw her group, two blocks away as they fired on two of the yellow-and-green skinned invaders. Man-made guns popped and cracked, otherworldly weapons whined and snapped. The bodies of several of her friends disintegrated in bursts of red mist. One of the invaders was cut in half by the guns of her fellow survivors. Somewhere inside, Kate understood that she should be helping her friends fight back, and that she should be terrified. Should be. 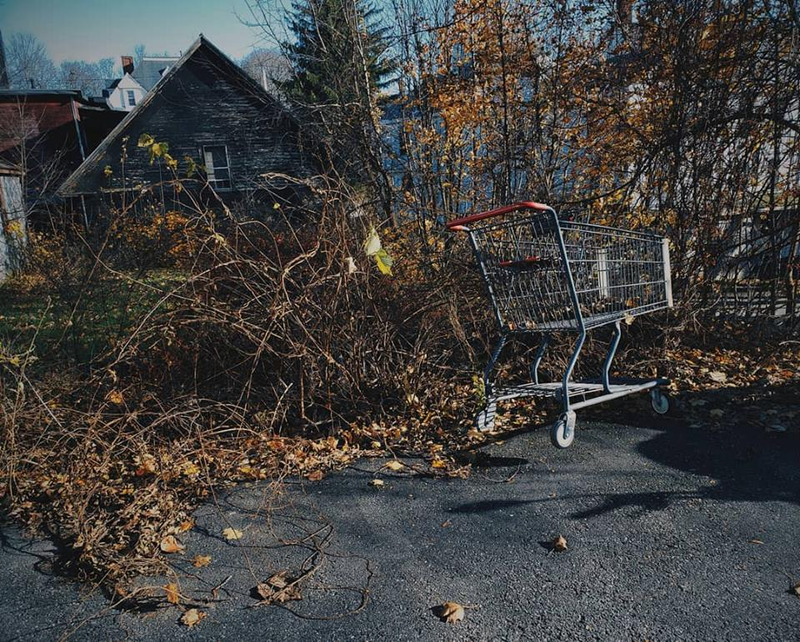 Her gaze slipped back to the cart once more, alone, a silent witness to decay and death. A touchstone for the most precious and painful memories. Lifting her own rifle, Kate backed away from the shopping cart and walked toward her friends. The remaining invader was gravely wounded, and only three of her fellow survivors still stood. Everyone in the front of their group had died. The sidewalk and road were awash in blood and ichor. Had the cart not caught her eye, she might have died in the first salvo. She snarled as she raised her gun higher, sighting down the barrel at the bleeding head of the standing invader, its own weapon pulsing. She wasn’t fast enough to prevent Jim Waltman from being turned into a puddle of black and red goo, but her aim was straight, and she snapped off four rapid shots, each one taking the creature in its head, tearing away most of its snout-like face. Kate was a survivor. Even if she didn’t want to be. John L. Davis IV has been writing for a long time and has published multiple books such as the zombie apocalypse series, American Revenant. He also writes in the horror and science fiction genres. See more of John’s work on Amazon! Read his Kershaw Survival Knife Review! 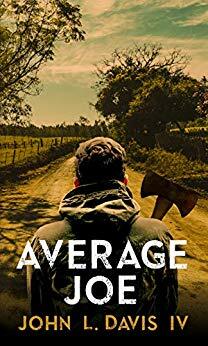 Buy his latest novel, Average Joe!